Touchbyte, the makers of PhotoSync, released today PhotoSync Companion 2.1 for Mac OS X and PhotoSync Companion 2.2.0 for Windows. The most important news are the upcoming releases of PhotoSync 2.1 for iOS and PhotoSync for Android 1.0 mentioned in the release notes. As already indicated in PhotoSync 2.1 for iOS beta and on the new PhotoSync homepage (still under construction) support of Android devices is obviously coming soon. In addition, the PhotoSync logo has now a new and flat design in iOS 7 look. PhotoSync Companion for Mac OS X is a free utility to support the best transfer performance (unlimited number of images, background transfer, etc) for picture and video transfers from your iPhone, iPod Touch, or iPad to your Mac with the PhotoSync app. 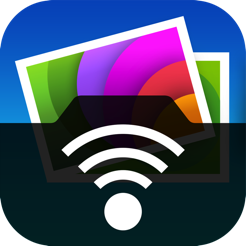 PhotoSync Companion for Windows is a FREE utility to support the best transfer performance (unlimited number of images, background transfer, etc) for picture and video transfers from your iPhone, iPod Touch, or iPad to your PC with the PhotoSync app. Supports new languages: Besides English and German, now French, Spanish, Japanese, Chinese (Simplified) and Chinese (Traditional) are supported. Download PhotoSync Companion for Windows from here.